Excuse me for being a tourist. I don’t understand why you’re shocked at my visit; doesn’t everyone want to vacay in Florida? Those of you without adequate insurance coverage didn’t seem happy to see me at all. Honestly, I’m hurt. If everyone would just understand the Flood + Home Insurance = HURRICANE PROTECTION equation, we’d all be better off – and I could sweep down to Orlando for a little R&R at Disney World. But no. Here we are, fashionably late in hurricane season, and fortifications are still not the norm. We’re not talking sandbags, bottled water and nonperishable stockpiles of corned beef hash. I mean insurance. Here’s a tip: my friends might be coming over after I tell them how great this state is, so you’d better consider coverage. Your self-declared ‘hurricane season’ dictates that all of us (and by ‘us,’ I mean hurricanes) have until November 30 to plan an unforgettable Florida trek. Understand and act upon this equation: Flood + Home Insurance = HURRICANE PROTECTION. 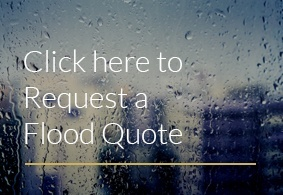 If you only carry homeowners’ insurance, waste no time in purchasing a flood policy. Most flood coverage does not become active until thirty days after purchase. Just a few inches of water in a residence can cause severe damage. That goes for more than just homes in coastal areas. My girlfriend Florence proved that in North Carolina. She’s such an overachiever. Be thankful for the ‘hurricane deductible,’ which decreases the total cost of damages based on unwelcome visits from storms like me. It’s really important to talk with a knowledgeable insurance advisor about what to expect in the aftermath of a hurricane. To give yourself the best possible outcome in the worst possible scenario, plan, plan, plan. And go one step further: actually purchase coverage. Talk with a W3 Insurance advisor today at 727-522-7777 or visit w3ins.com. The W3 team finds coverage for auto, home, life, flood and more. Most importantly, they insure against damages caused by unwelcome visitors. Now it is more important than ever that your NFIP flood policy renewal payment is received on time*. If your payment is late, your premium could be adversely affected. 1st time, the policy will be reinstated and the effective date will be 30 days from the date the insurer receives the payment (no change to rating). 2nd time, the policy will no longer be eligible for subsidized rates or the Newly Mapped rates. The effective date will be 30 days from the date the insurer receives the payment and a new application and/or an elevation certificate may be required to rate the policy. If the premium payment is received more than 90 days after the policy expiration date, the policy will no longer be rated eligible for subsidized rates or with the Newly Mapped rates and a new application and elevation certificate will be required and the standard waiting period for new business will apply. The above rules apply to flood premiums whether paid by you or your lender. Therefore, it is important that your renewal payments are made timely. If your lender pays your renewal premium, verify that your loan number and lender are correct and your payment has been processed. Keep on top of flood insurance renewal payments—we want to help you stay safe and pay less.